January finds two pairs of classical-music siblings performing in Seattle. Ginger and Marina Costa-Jackson have leading roles in Seattle Opera’s “Così fan tutte,” while Robin and Rachelle McCabe present their piano recital at the UW’s Meany Theater. Three pianos in a Puyallup house, one for each of a trio of musical sisters. Shared bedrooms for three singing sisters in Salt Lake City and Palermo, Sicily, leading to shared stages in grand opera halls. Great genes no doubt have something to do with why some musician siblings have a corner on exceptional ability. But there’s more than that to the emergence of noteworthy artists from the same family. Saturday, Jan. 13 to Saturday, Jan. 27 at McCaw Hall, Seattle Center; $25-$250 (seattleopera.org or 206-389-7676). The circumstances of family life — how people live together and support one another — during formative years for musical brothers and sisters also have a lot to do with the pursuit of high aspirations and achievement. January finds a striking coincidence between two promising music experiences in Seattle. One is a Meany Theater recital featuring Robin McCabe, professor of piano at the University of Washington, and her sister, Rachelle McCabe. The latter directs piano education at Oregon State University and leads the Corvallis-OSU Piano International and its prestigious Steinway Recital Series. The McCabes will perform two-piano repertoire from Leonard Bernstein (“Symphonic Dances from West Side Story”), Johannes Brahms (“Variations on a Theme by Haydn”) and William Hirtz (“Wizard of Oz Fantasy”). 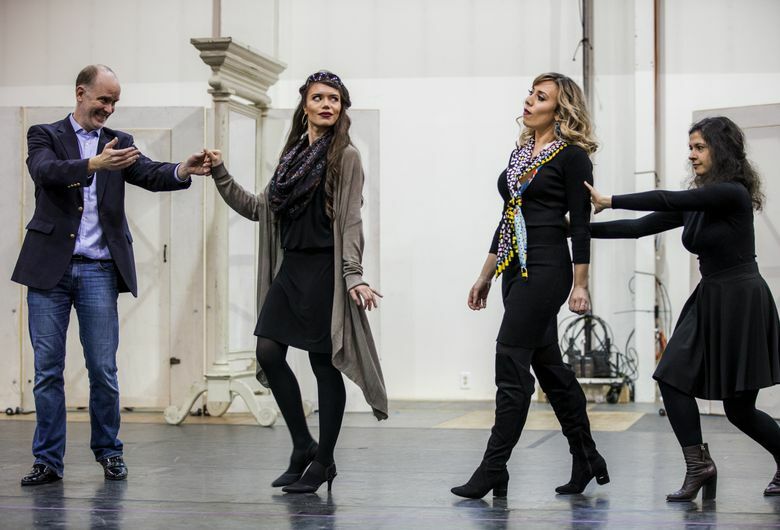 The other event is Seattle Opera’s production of Mozart’s “Così fan tutte,” starring Ginger Costa-Jackson and Marina Costa-Jackson as sisters tested for fidelity by their fiancés. The Costa-Jacksons are rising stars in the opera world, two-thirds of an amazing concentration of talent including their younger sister, Miriam Costa-Jackson, who actually lit the fire for singing among all three. Musical sisters are common in popular music. In the Seattle region, Ann and Nancy Wilson of Heart created a strong national legacy that landed them in the Rock and Roll Hall of Fame. Swing-era harmony singing group the Andrews Sisters (Maxine, Patty and LaVerne); Ronnie Spector (née Bennett) and Estelle Bennett of classic “girl group” the Ronettes; and Rebecca and Megan Lovell of roots-music duo Larkin Poe have all made their mark. In the classical-music world, Hungarian-born sister violinists Jelly d’Arányi and Adila Fachiri began separate careers in the 1920s but often played together. 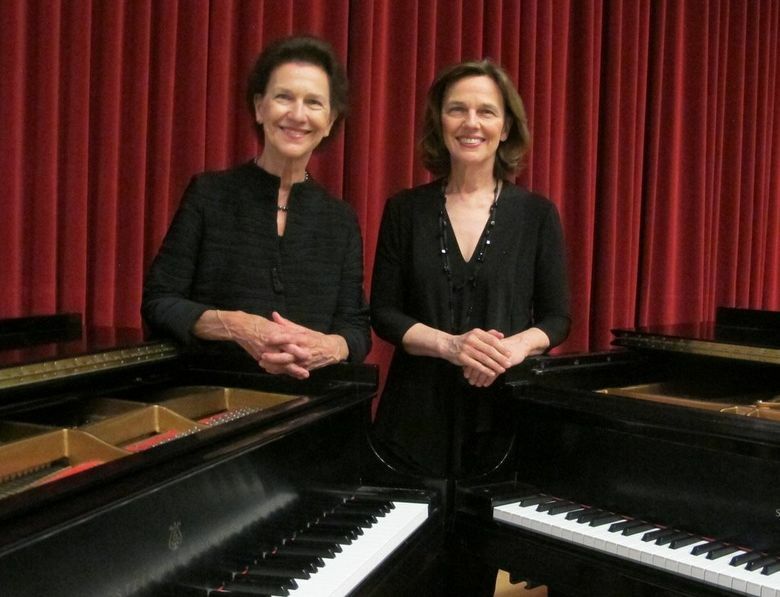 Celebrated Turkish twins Güher Pekinel and Süher Pekinel perform piano duets in concert halls. Scottish-Egyptian multi-instrumentalists the Ayoub Sisters (Sarah and Laura) have been a hit both with classical- and crossover-music fans. Separate and delightful interviews with the McCabes and Costa-Jacksons reveal the extent to which sibling dynamics help drive the development of gifted artists growing up under the same roof. In the same way you see a different side of a person when he or she is with a sibling, both sets of sisters demonstrate a unique bond of loyalty and humor spiked with a bit of eye-rolling sarcasm. “No, we’re getting along really well,” says Rachelle, sans conviction. “It’s all part of the sister act,” adds Robin. Both McCabes are Juilliard graduates. (Robin got her doctorate there and was on the faculty for years; Rachelle went on to earn her doctorate at the University of Michigan). Each is a concert pianist of critical acclaim — Robin will perform in China in 2018 — and each has found tremendous satisfaction in teaching. But what about those three pianos back at home in Puyallup? Turns out Robin, Rachelle and their younger sister, Renée, who died in 2015, had one each. Robin, the oldest, gravitated toward piano at age 4. Her parents, music lovers, soon discovered she had perfect pitch and could replicate on piano any song she heard on the radio. Piano lessons soon followed. Years later, Rachelle began her own. A major advantage of sharing with a sibling the dream of a professional career is how it mitigates the isolation that comes with complete dedication to mastery. When musicians play together, listening and responding is the key to communicating through instruments. Part of what makes the McCabes’ duets concert so intriguing is how two people who know each other so well will “talk” to one another through huge pianos, making expressive choices that invite a partner to answer back. What happens during rehearsals if Robin and Rachelle disagree on how to interpret a composition? “Well, it usually involves a little bit of sulking,” Robin says. “Well, not all good. But even if we have a little sisterly tension now and then, we can work it out,” Robin says. These days, creative differences between Ginger and Marina Costa-Jackson are typically resolved at home. The two are sharing a hotel room in Seattle, and they talk things through when there, after rehearsals. “This is the first time we’ve sung together in an opera,” says Marina. “So it’s only fitting and ironic that our first roles together are sisters. Marina, Ginger and Miriam have sung together in the U.S., Russia, Belarus, Lithuania and elsewhere. Their father, who now teaches, was in the U.S. Air Force and their mother is Italian. 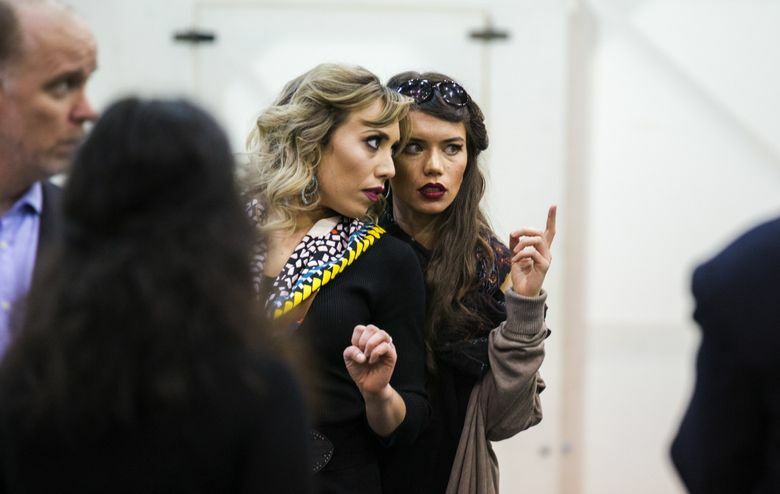 The sisters spoke Italian at home, which they say comes in handy now for opera. Ginger, a mezzo soprano, was born in Palermo. Marina, a lyric soprano, and Miriam, a coloratura soprano, were born in Las Vegas. The family moved to Salt Lake City, and later spent five months in Palermo for the girls’ immersive singing lessons. Growing up, Ginger tended to be the studious one, stuffing all her schoolbooks in a turtle backpack because her locker would stick. Marina was the popular one, a fashionista who started trends and won student-council elections. It was Miriam, at 11, who was the first to be intrigued by opera and who announced she wanted to sing. Her example inspired and excited the others. In time, Ginger and Marina began winning or placing highly in international competitions, and caught the attention of the Metropolitan Opera in New York City, giving them a big boost. Their professional careers have since flourished in the U.S. and abroad. Miriam recently played the role of Despina in a production of “Così fan tutte” at the Phoenicia International Festival of the Voice, and has studied with conductor Nicolas Giusti at the Utah Vocal Arts Academy.